JOLIET, Ill. — The husband of missing Illinois mom Lisa Stebic was denied sole custody of the couple’s two children Tuesday. Craig Stebic’s lawyer, Dion Davi, filed the legal motion after Lisa disappeared, arguing that his client was afraid that if and when Lisa ever came back, she may take off again, this time, with the children — Alexis, 12, and Zachary, 10. In family court on Tuesday, Davi argued that while Lisa has been missing for three weeks, she has not assisted with any parenting responsibilities. Lisa’s attorneys have filed on her behalf requesting that petition be denied. Judge Joseph Polito ruled that Craig’s case had no merit and struck his motion from consideration. Lisa’s attorney, Glenn Kahn, told reporters after the hearing that the judgment has no impact on the kids and that they will remain under Craig’s care, since he still has all of his legal rights. But Davi countered that, saying it’s “unfortunate” the court ruled this way, because Craig is subject to the loss of certain rights if his wife were to take the kids to another jurisdiction without his permission. But Lisa’s husband’s cousin, Melanie Greenberg, said the idea that Lisa ran away on her own is absurd, and that she would never leave her children. She said the idea that Lisa’s abductor — if she was abducted — would take the kids is also improbable. Greenberg said she doesn’t think Craig has received the best legal advice from his attorney and she doesn’t understand why he would petition for sole custody of the children while his wife was missing. Lisa was last seen at about 6 p.m. April 30 at her Red Star Drive home in Plainfield, Ill., and was seeking a divorce from Craig. Davi said he has the option to refile the motion should a fresh set of allegations surface. But for now, he and Craig will refrain from further legal filings as the investigation continues. Meanwhile, The Joliet Herald News reported that Craig said the blood recently found in his truck by police is animal blood. Davi could not confirm that Craig said the blood on the tarp was from a deer. But two different law enforcement sources told FOX News the blood was Lisa’s. That means it may be something else police found after those two searches that prompted the May 14 warrant. Davi told FOX News that his client maintains his innocence. Craig has not been named a suspect or a person of interest by police. He gave police the family’s computer but would not submit to a lie-detector test on the advice of his divorce attorney. Davi said he has never asked his client whether he had a role in his wife’s disappearance. Craig’s father owns a cabin in Michigan, which has also been searched by police. Davi said Craig did go to the cabin the weekend before Lisa disappeared, but he doesn’t know if Craig was deer hunting. Davi said his client has become an easy target and there are a number of other leads police need to investigate, aside from Craig. “It’s possible Craig was set up,” Davi said, adding that investigators and others need to have an open mind and not be led by tunnel vision during the investigation. FOX News confirmed with law enforcement and some of Lisa’s friends that she began seeing a divorced man sometime within the month before her April 30 disappearance. The two had only been on a few dates but they saw each other the weekend before Lisa disappeared. Police have questioned him and they say he has fully cooperated thus far. Meanwhile, Lisa’s cousin says her family is holding off casting blame on who may be responsible for her disappearance until evidence proves exactly what happened to her. “The police have not told us they have a suspect,” Mark Greenberg told FOX News on Monday. “The people pointing fingers at this point are the media. Lisa disappeared while her husband was in the backyard and her two children were out. Lisa was reported missing by her husband the next day. Craig said he believes someone picked her up. Since then, there has been no activity on her cell phone or credit cards. Her car never left the driveway. “She never went anywhere without her car,” one of Lisa’s coworkers at a nearby school cafeteria told FOX News. Divorce proceedings began in December. The couple has lived in the same house since then but rarely spoke. ” Lisa was trying to have her husband evicted from their home so the family could “live in peace,” according to a petition for temporary eviction filed by the missing mom. That stated he was being “unnecessarily relentless, cruel, inconsiderate, domineering and verbally abusive.” His behavior was “jeopardizing the mental well-being” of their children, she wrote. But Davi denies any abuse allegations and has said Lisa was never in danger from her husband. Authorities say that it’s unlikely that Lisa is still alive, but they added that no matter what it takes, they will find her. “I do expect us to locate the location of Lisa Stebic,” Plainfield Police Commander Mike Altenhoff told FOX News. “‘Because I’ve got a 10-year-old and a 12-year-old child in that house that wants to know where their mother is. ” Meanwhile, The Naperville Sun reported that the Stebics may have been going through financial difficulties. Their mortgages exceeded their home value, and, according to the petition Lisa filed to evict Craig from the family home, she earns less than $10,000 a year as a lunchroom worker while her husband earned more than $80,000 annually at his union job. The newspaper reported that the couple’s history of taking multiple mortgages on their Plainfield home and later refinancing for larger amounts shows they were looking for cash. FOX News’ Steve Brown, Marla Cichowski, Jeff Goldblatt and Megyn Kelly contributed to this report. The cousin of missing Illinois mom Lisa Stebic says her family is holding off casting blame on who may be responsible for her disappearance until evidence proves exactly what happened to her. Plainfield, Ill., police were able to obtain a warrant to search Stebic’s home on May 14. Local news reports said they obtained the warrant because they had found traces of her blood on a tarp in her husband’s vehicle. But Dion Davi, the attorney for Stebic’s husband, Craig, told FOX News that it’s not yet clear whether the tarp was the cause for the warrant. Davi said that after two searches of the Stebic home earlier this month, he received from police an itemized list of what was taken from the home, which included the family computer. The tarp was not on the list for either of those two searches. Unnamed police sources, as reported in local newspapers like The Naperville Sun and the Joliet Herald News, had said officials used the blood evidence to obtain the warrant by positing a scenario that her husband Craig, an avid hunter, might have used the tarp to transport his wife’s body from the home. But FOX News confirmed that the car the blood was found in was one of the family’s two vehicles, a 2002 Chevrolet S-10 pickup truck. The family’s other car was a 2004 four-door Saturn Ion. Both were registered to Craig Stebic, but Lisa used the Saturn. Both have been confiscated by police. Craig Stebic has never been named a formal suspect in the case and has been compliant with police requests, according to Michelle Sigona, a correspondent for America’s Most Wanted, which has profiled the Stebics’ case. Craig Stebic gave police the family’s computer but would not submit to a lie-detector test on the advice of his attorney, Sigona told FOX News. His divorce lawyer has advised him against submitting to the test. “We just have to hold out hope as long as we possibly can,” Greenberg told FOX News on Monday. He said Lisa’s family was “very concerned” about the couple’s children, ages 10 and 12, and how they’re holding up while their mother is missing. Greenberg said Craig Stebic brought the children to stay with another relative two weekends ago to take a break from the media frenzy surrounding the case. “It’s very important we try to preserve as much of a normal life as possible for these children,” Greenberg said. On Saturday, friends and family of Lisa Stebic gathered for a candlelight vigil to mark the mother of two’s 38th birthday. FOX News’ Steve Brown contributed to this report. JOLIET, Ill. — The day she disappeared, Illinois mom Lisa Stebic mailed a petition to evict her husband from their home while their divorce was pending so she and her children could “live in peace,” according to news reports. Stebic’s petition for temporary eviction of her husband, Craig Stebic, states he was being “unnecessarily relentless, cruel, inconsiderate, domineering and verbally abusive,” reports The Joliet Herald News. His behavior was “jeopardizing the mental well-being” of their children, she wrote. Reached by phone Wednesday evening, Craig Stebic said he was unaware of the eviction petition. “I have no idea what you’re talking about,” he told the The Chicago Tribune. Craig Stebic told FOX News that he never laid a hand on his wife and was not abusive. He also said reports that his wife had visited a battered women’s shelter are not true. That petition was included in a motion filed Wednesday by her attorney, Glenn Kahn, as a response to Craig Stebic’s motion for temporary custody of the couple’s two children, Zack, 10, and Lexi, 12. Craig Stebic filed that motion last week. His lawyer told FOX News the move was aimed at protecting the children, but he would not elaborate. Kahn said the petition to evict was not filed immediately with the court because Kahn didn’t receive the signed copy until after Stebic was reported missing, the Tribune reported. He submitted it in court Wednesday as evidence to contest Craig Stebic’s filing for temporary sole custody of the children. Lisa’s petition suggested Craig Stebic could live in his father’s home while still paying the mortgage and utilities for the Plainfield house until their divorce was final, The Herald News reported. It also said Lisa did not have local family or friends with whom she could stay. 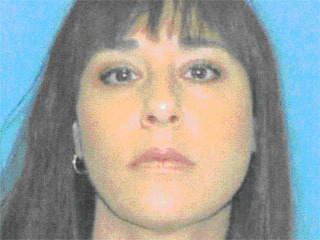 Lisa Stebic, 37, was last seen about 6 p.m. April 30 at her Red Star Drive home in Plainfield, Ill. The mother of two worked at a local school cafeteria so she could be home in the afternoons with her kids. She disappeared around 6 p.m. April 30, while her husband was in the backyard and her two children were out. Police have not named Craig Stebic as a suspect or as a person of interest. His divorce lawyer so far has advised him to refuse a polygraph test. Plainfield police and the FBI are examining Lisa Stebic’s car, which was left at the house when she disappeared; Craig Stebic told police he thought someone picked her up that night. “We have no additional leads or info on Lisa’s whereabouts,” Plainfield Police Chief Donald Bennett told FOX News Wednesday night. Police executed a search warrant on the Stebics’ home Monday night; the search lasted about 4-1/2 hours. Lisa is 5-foot-2, weighs 120 pounds and has long brown hair and brown eyes. She has two visible tattoos, a small rose on her ankle and a large butterfly on her lower back. Anyone with any information is asked to call the Plainfield Police Department at 815-267-7217. Her family created a Web site, http://www.findlisastebic.com, to aid efforts to find her and are offering a $20,000 reward for information leading to her whereabouts. FOXNews.com’s Liza Porteus and Megyn Kelly contributed to this report.